I am unaiza naseer from lahore Pakistan. 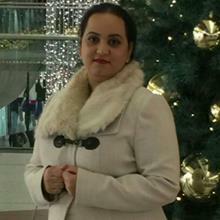 I have done my masters in English,punjabi and urdu languages and working as a language trainer in lahore Pakistan. My experience is 10 years in this field. I will do my best efforts for u. I will teach u through av aids. And I am well prepared for my lessons.